Which ingredients do you like in your bread? 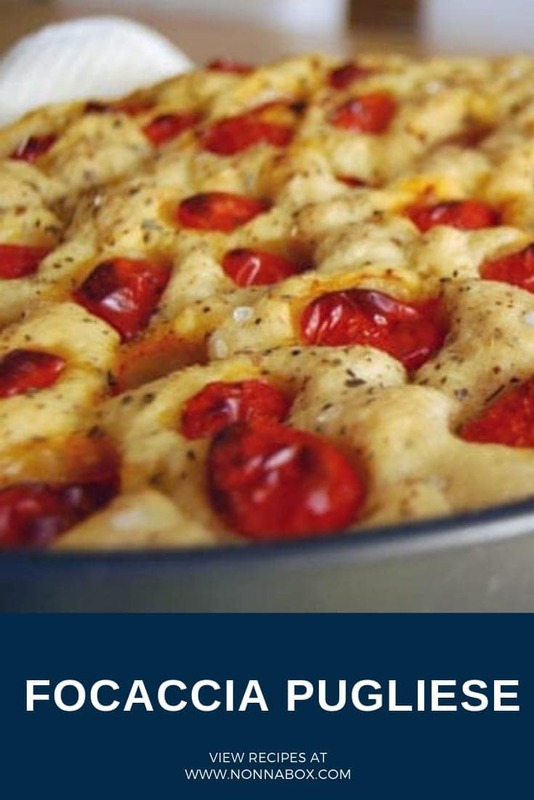 In Focaccia Pugliese, you get not only the dimpled airy bread, but also fresh cherry tomatoes and the lovely aroma of oregano. Focaccia is a type of Italian bread that uses the same dough as pizzas. But unlike pizza, it is topped only with herbs and seasoned with salt and some olive oil. Some variations of the recipe may have onions, cheese, and maybe meat. 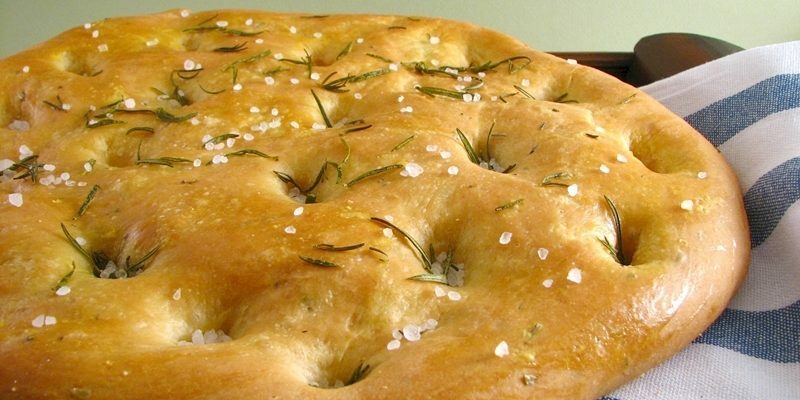 However, the most common topping for focaccia is rosemary. This bread can be served as a snack, an antipasto, or as accompaniment for main dishes such as pasta or secondo dishes. Focaccia is one of the most popular breads in Italy and much like many Italian dishes, it has different versions all over the country. 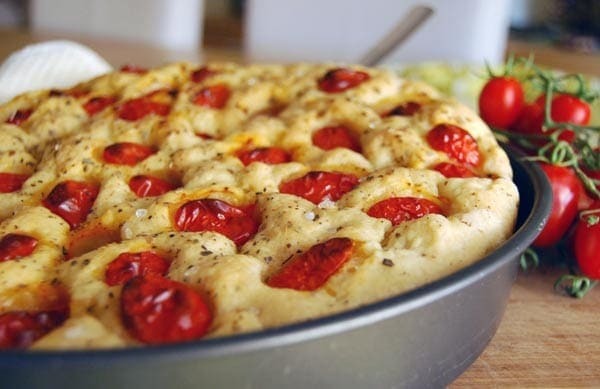 In Bari, which is a port city in the Puglia region, the most popular focaccia comes with lovely fresh cherry tomatoes and a sprinkling of oregano. Other names for this type of focaccia are focaccia barese and focaccia alla barese. What’s more is that this is not just popular in the city of Bari. It is also quite a common fare all over the region, particularly in the cities of Brindisi, Lecce, and Taranto. Make this focaccia pugliese for an easy and fresh Pugliese recipe! The one with cherry tomatoes is most common in Bari while the ones with onions and olives are from Altamura. In Lecce, it’s usually the plain version.